Local culture commentator “Long Beach Louie” recently visited the Grace Brethren Church of Long Beach, California (Lou Huesmann, pastor). Here is an excerpt of Louie’s report–to see the entire article with photos, click here. Many people and families are looking for churches to join and check out. One I recently visited was Grace Brethren Church located on Elm Avenue in Long Beach. I recently visited the church to check out the awesome new architecture of the church. The church looks very new with a multitude of new and fresh looking additions to the church. The church has ample parking and has a ton of trees planted on site. 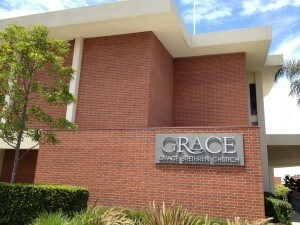 Grace church has been part of the Long Beach community since 1913. The church itself is a very diverse church family that is accepting to all.